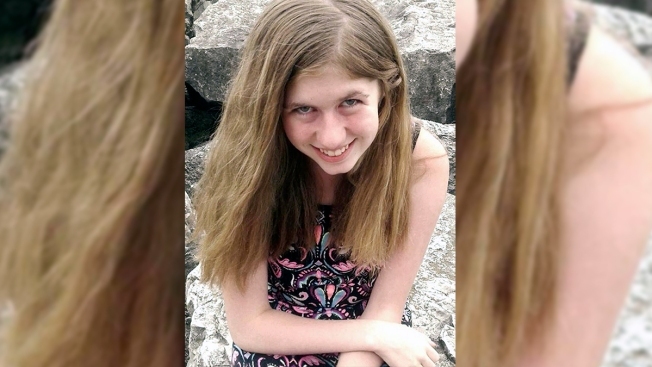 Authorities say Jayme Closs, above, a missing teenage girl, could be in danger after her parents were found dead at their home in Barron, Wis., on Monday, Oct. 15, 2018. The question has haunted authorities in Wisconsin for more than a month now: Where is 13-year-old Jayme Closs? Detectives have pursued more than 2,300 leads, watched dozens of surveillance videos and spent countless hours searching for Jayme, trying to figure out what happened to her ever since her parents were fatally shot in their home near Barron, a rural community about 80 miles (130 kilometers) northeast of Minneapolis. Investigators remain as perplexed as they were on Oct. 15, when sheriff's deputies responding to a 911 call at 1 a.m. found the bodies of James and Denise Closs. The door to their home had been kicked in and Jayme was nowhere to be seen, even though deputies were at the house within four minutes of the call. Authorities believe she was abducted and say she's been ruled out as a suspect in her parents' deaths. "It's a headscratcher. We just don't know what took place. We're trying to figure that out, and it's frustrating," said Barron County Sheriff Chris Fitzgerald. Detectives haven't identified a suspect and still don't know whether Jayme or her parents were the reason for the attack. The 911 call came from Denise Closs' cellphone, but no one spoke to a dispatcher, Fitzgerald has said. Jayme's relatives are just as puzzled and anxious for news of her whereabouts. "It's hard, not knowing where (Jayme's) at," said Robert Naiberg, 72, Jayme's grandfather and Denise Closs' father. "Can't do nothing for Jim and Denise but her ..."
Naiberg said he'll be hosting Thanksgiving at his home as relatives still shocked by the tragedy try to comfort one another. "Everybody wants to be together," he said. A $50,000 reward is being offered for information that leads to finding Jayme, and investigators are receiving about 25 tips daily, said Fitzgerald, who has made clear investigators need all the help they can get. Last week, the sheriff asked hunters to report anything suspicious as Wisconsin's nine-day deer hunt began Nov. 17. Days after Jayme's disappearance, Fitzgerald called on 100 volunteers to help comb fields and ditches near the Closs home for any clues, but the search uncovered nothing of evidentiary value. "(The case) remains our number one priority," Fitzgerald said. Initially, detectives collected about 80 surveillance videos from businesses and other locations near the crime scene. When those failed to yield any clues, FBI agents assisting on the case expanded the collection of surveillance videos to areas beyond the county. Meanwhile, the Wisconsin Department of Criminal Investigation used a specially trained dog to sniff out electronic devices at the Closs home, including the cellphones that belonged to Jayme and her parents, but that hasn't produced any leads. The elapsed time and lack of evidence haven't deterred detectives, Fitzgerald said. "There's a lot of hope out there that she's still alive," he said. As investigators continue the search, Naiberg said his family is doing what they can to help, making flyers and giving them to people to take to places they go on vacation. Naiberg said he was close with Jayme and recalls how she and her mom visited him every weekend after his wife died nearly three years ago. They would decorate her grave and sometimes bring him collectibles from antique stores. "I got a lot of things around here I look at and think of them," he said. March 16 will be three years since his wife passed away, Naiberg said. "That was hard to get over," he said. "I don't know if I'll ever get over this."